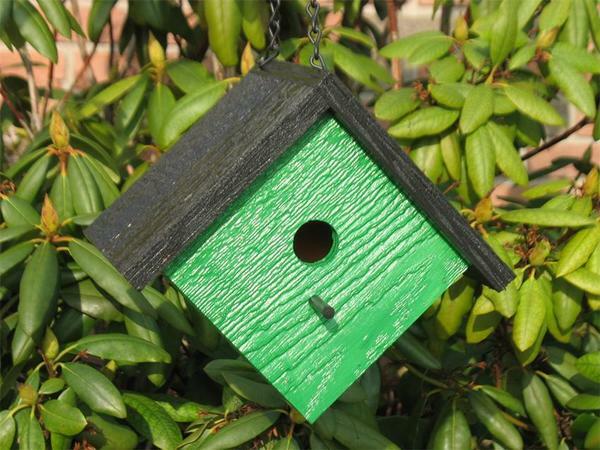 This simple, irresistibly versatile bird house has color and vibrancy to spare! Hang it in your deck or garden for an instant dose of brightness and cheer. Handcrafted from solid wood by master Amish craftsmen, this beautiful bird house promises as much enjoyment for you as it does for your new feathered neighbors. Choose from the colors above to find your perfect fit, and if you've any questions at all about this bird house, please get in touch - we would love to hear from you.